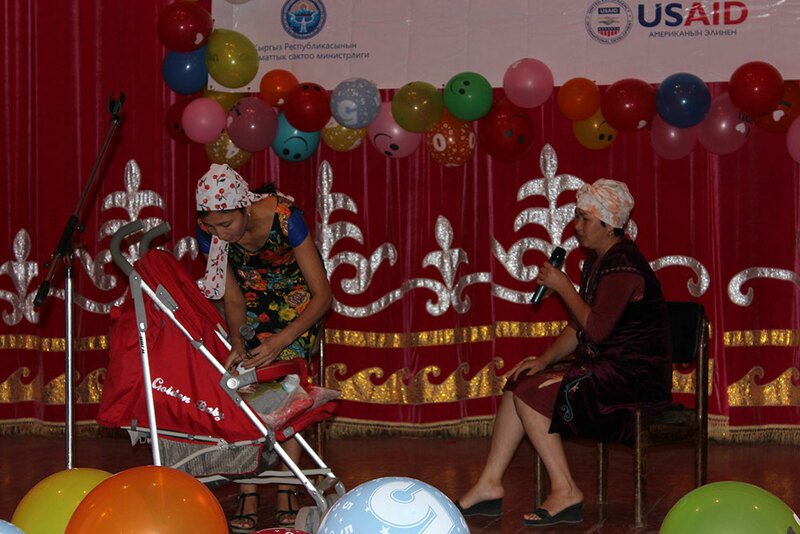 The “Breastfeeding is a Source of Child Health” event took place in Tash Kumyr on Thursday September 22, 2016 with about 110 people in attendance. The function began with remarks from the Health Sector Specialist from the Mayor’s office, the Director of the Family Medicine Center, SPRING’s SBCC & Media Specialist, and a local Family Medicine Center doctor on the importance of exclusive breastfeeding for the first six months and complementary feeding from six to 24 months. 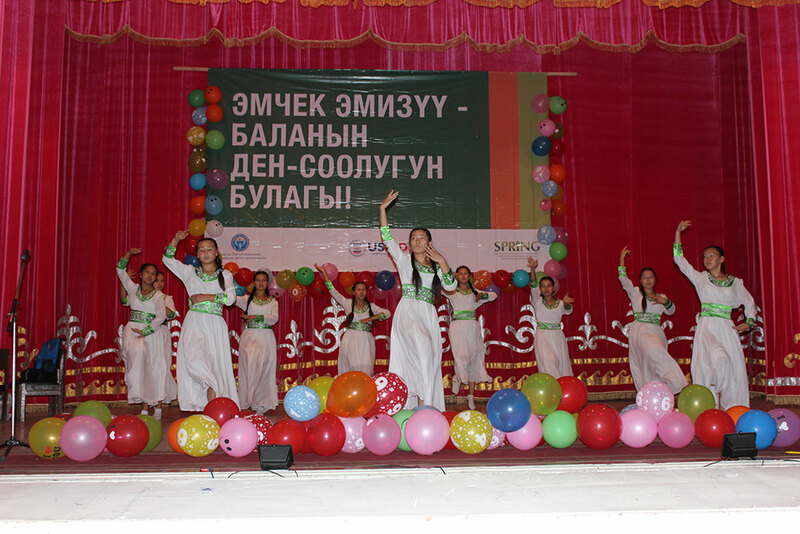 Several performances and competitions took place following the speeches. The “Loveliest Mother-in-Law” competition aimed to demonstrate the importance of the special relationship between mothers-in-law and daughters-in-law and the critical role that a mother-in-law plays in the nutritional status of the family. Teams performed different phases of the 1,000 day period and emphasized positive nutrition messages such as healthy maternal nutrition during pregnancy with a focus on iron and folic-acid supplements, exclusive breastfeeding, frequency of feeding supplementary foods, and dietary diversity. 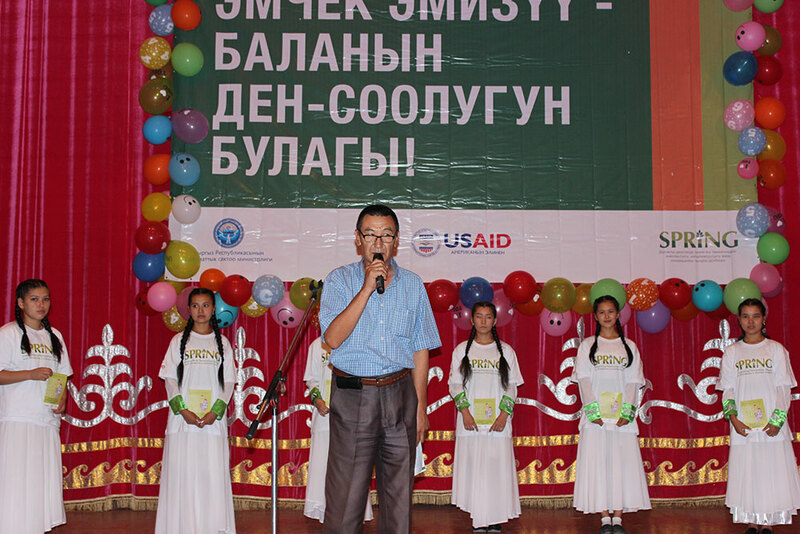 The event also included a lullaby competition where women sang traditional Kyrgyz lullabies. Finally, the audience members had a chance to participate in a quiz to test their knowledge on good breastfeeding, proper hygiene, and the advantages of breastfeeding.